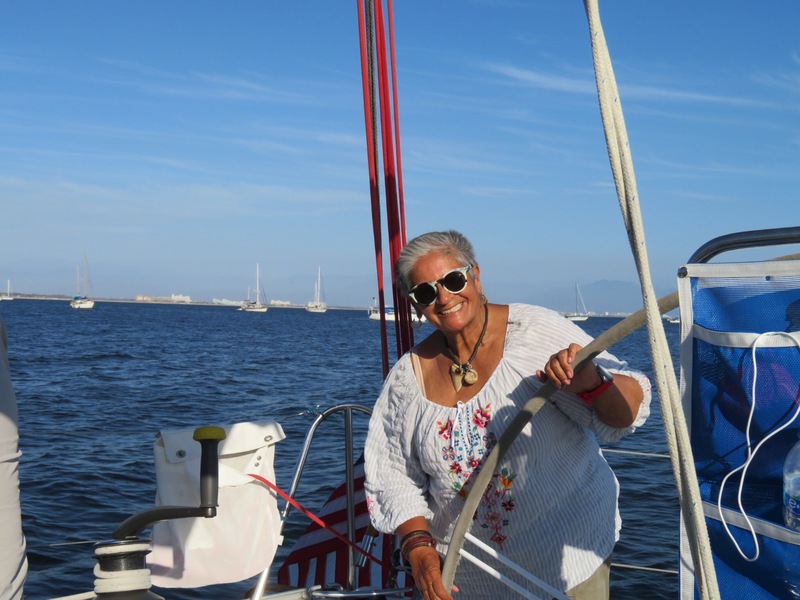 In the office this morning, Lupe had returned from her trip to California and was once again at the helm of Los Arroyos Verdes. She was in a great mood and her mind was on standing at the helm of another kind, her sailboat, the Nueva Luna. 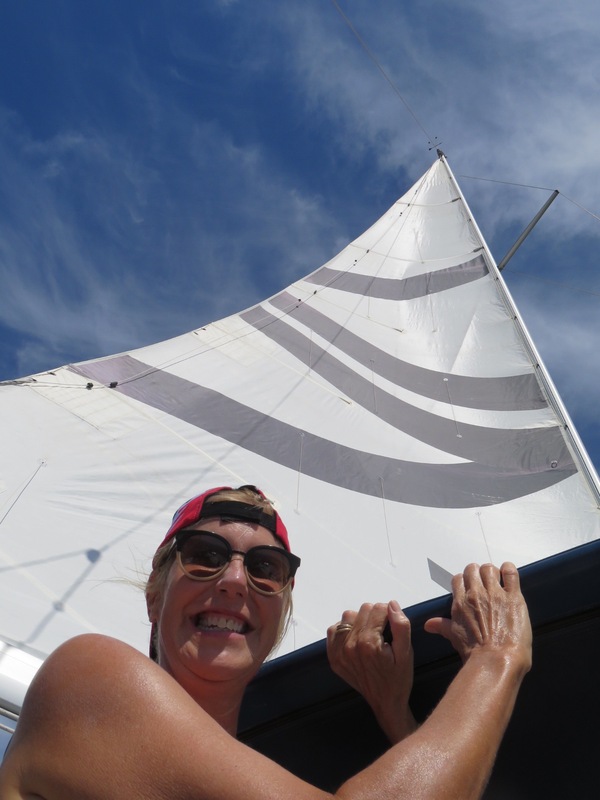 She invited us along for a sail along the bay for the afternoon. Awesome. We cabbed it over to the Mega store to pick up some snacks to take along. Some ceviche and guacamole with chips and tostadas to go along with them. We bought a small cooler and some drinks then headed home to get ready. At 2:30 we walked over to the office and met up with Fredrico one of Lupe’s friends I had met at the Christmas party. A few minutes later, we headed out to the car where we met Jane an artist friend of hers who has done some of the sculptures we see around the compound. 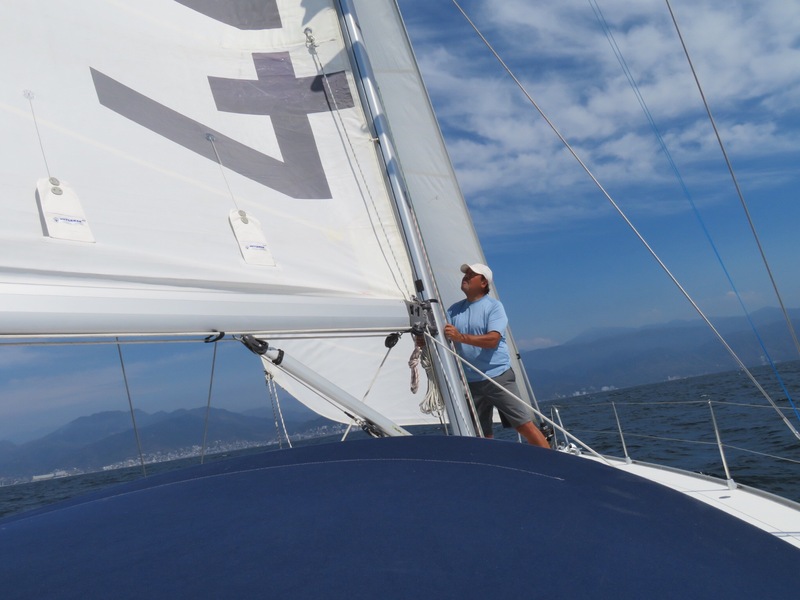 We piled into a Range Rover and headed to the harbor at Cruz de Huanacaxtle. 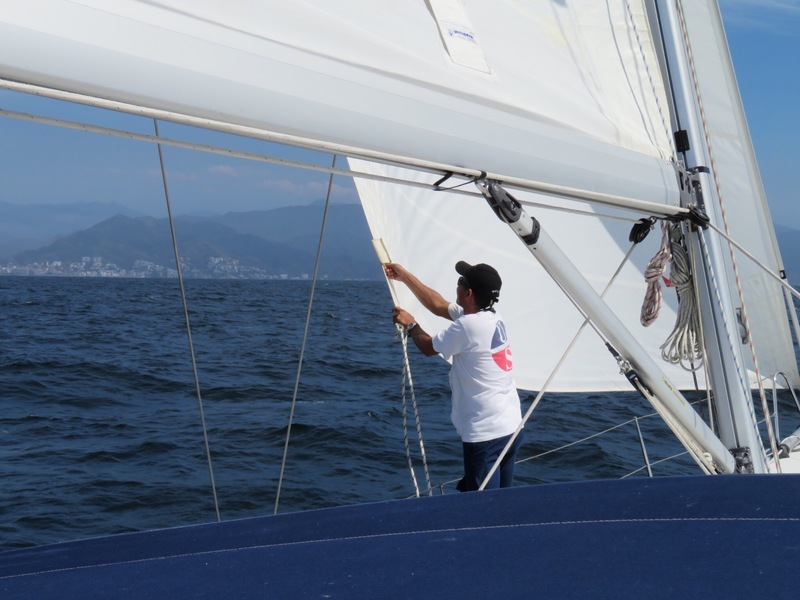 Alejandro is the young man that cares for the boat and manages the sails when we get under way. 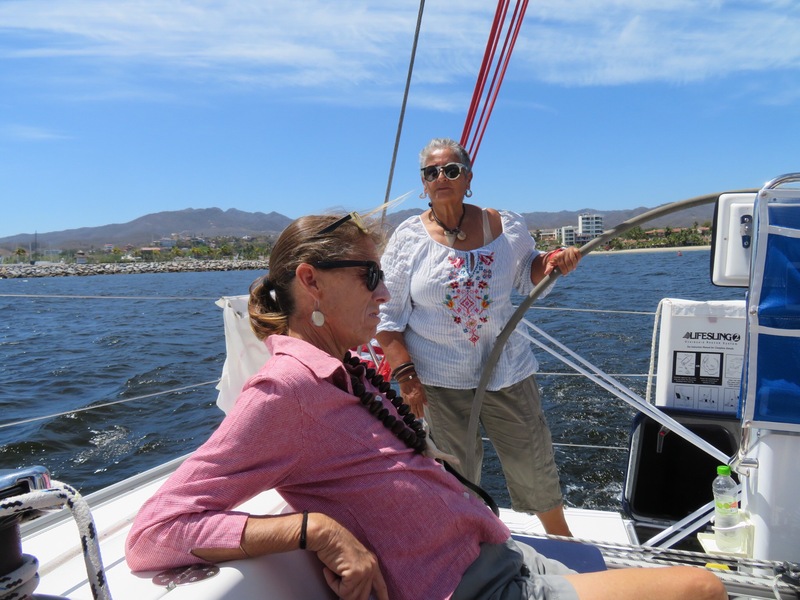 He helped us all aboard and a few minutes later, Cristina, our final crew member arrived and we set sail into the Bahia de Banderas. 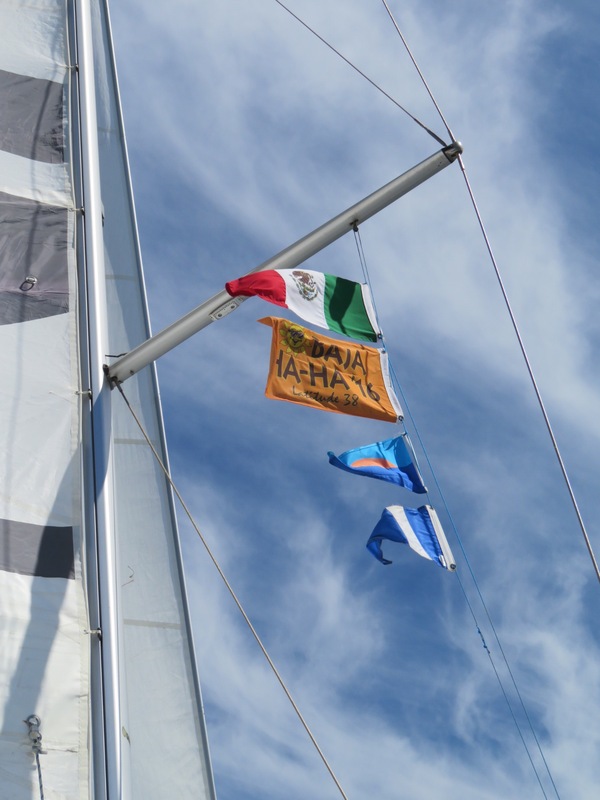 The wind was blowing at a little over 20 knots and Lupe took the helm as Alex unfurled the sails. We jammed down the coast for a while leaning the boat over as we gained more speed. 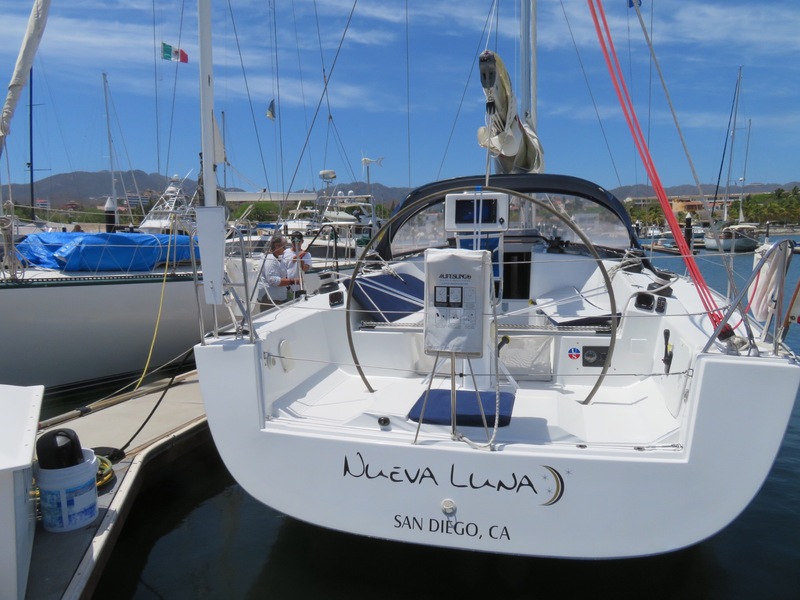 The Nuevo Luna is a 44′ Hansen sailboat and it is built for speed. 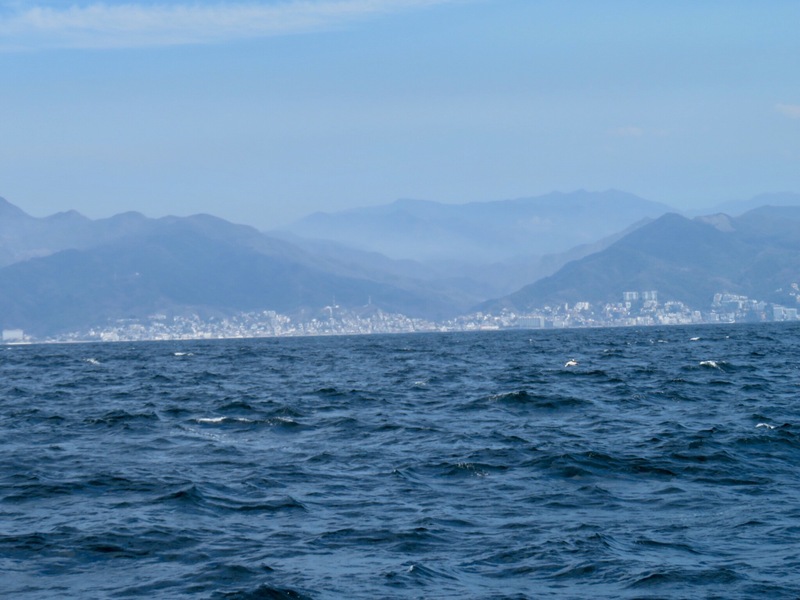 We passed by Bucerias, Nuevo Vallarta and an hour or two later we were abreast of old town Puerto Vallarta. There were very few boats out, we had the bay to ourselves. We slowed our pace and Alex served us up some fresh ceviche he had made (my store bought stuff stayed below). 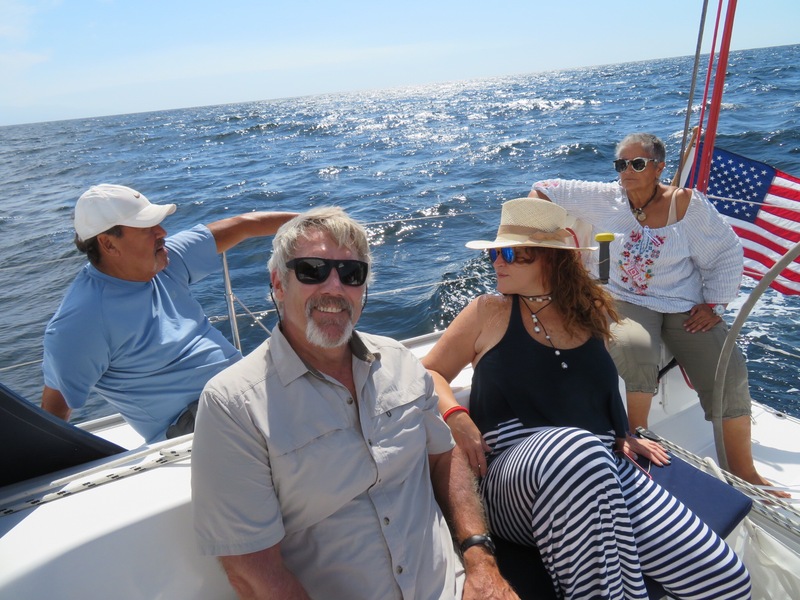 We relaxed on deck, talking, enjoying some refreshments and some times all drifting off in silence as we marveled at the beautiful day and relished the experience of gliding along on the ocean in a tropical bay. It was a little past seven when we got back to the harbor and got the boat settled into her docking spot. We sat in the boat talking some more and being a little reluctant to go ashore. An amazing day. Many thanks to Lupe for the cruise and to our new friends that we enjoyed the day with. We returned to the casa and ate our generic ceviche while getting into season 4 of Game of Thrones. We’re trying to get in as much as we can before returning to Lo de Marcos and our tiny t.v. there. Tired in the good way that only a day on the ocean can generate, we slept like lambs.